Commercial & Residential Inspections by Professionals. HVAC, Electrical, Plumbing, Roof Integrity. The way to reduce insurance rates is to have a safer home. We are a leader of commercial and residential inspections, and can help assure that you have adequate protection for your greatest assets, your home and your family. A thorough and comprehensive inspection can identify current and potential issues to your home. Based on our findings, we can recommend solutions to remedy these situations BEFORE they become a crisis. We will find and report all deficiencies in the current condition of your home. An unsafe condition such as a broken window or exposed electric panel. A large impending expense such as roof covering which needs replacement. Some aged or flawed components such as solid-strand aluminum electrical wiring. Finding issues that can lead to a major cost such as a roof leak. 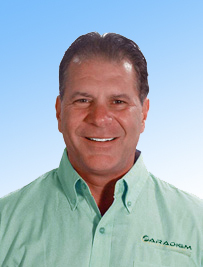 For nearly 30 years, Chris has used his skills and credentials to perform the most accurate and reliable inspections in Tri-County area of South Florida. His experience in the construction industry has provided a savvy insight in local building methods and standards. Marie Sacco was born in Brooklyn, NY and moved to Florida in 1990. As co-owner of Angel Eyes Inspections, LLC., Marie has over 5 years experience in the inspection industry and has a sharp eye for identifying home inspection deficiencies. Together, they make a very detailed and professional team. Incorrect verification of wall attachments and nail patterns.